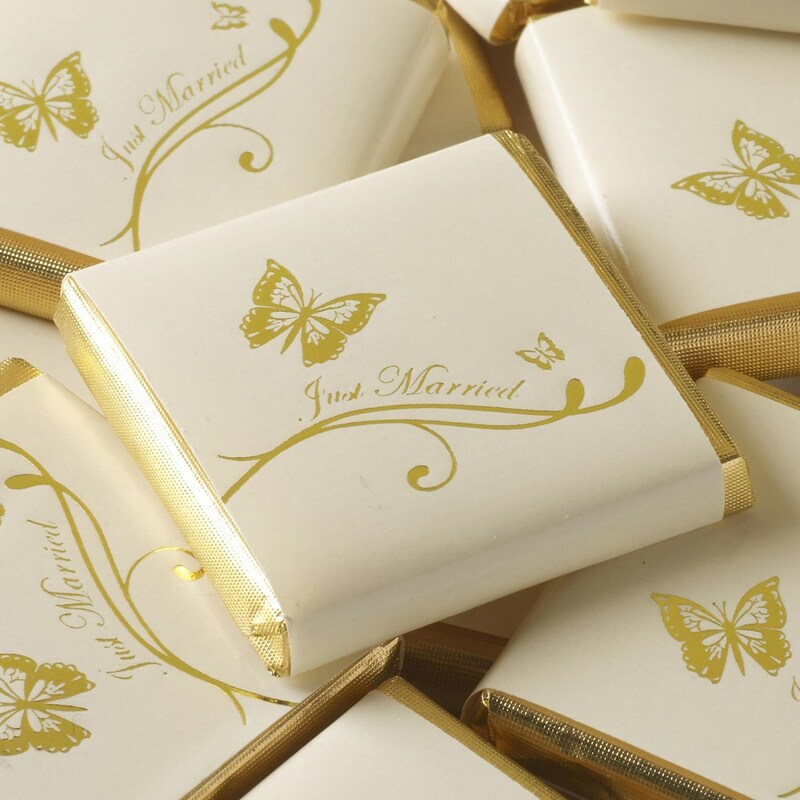 Our elegant butterfly "Just Married" chocolate squares are made in the UK from smooth milk chocolate coverered in gold or silver foil and banded in ivory or white. Why not place them in your favour boxes, organza bags or alternatively scatter them on the tables as edible table confetti, these really do make the perfect wedding sweets and favour fillers. They also match the rest of the Elegant Butterfly range. Chocolates are best kept in a cool dry place out of direct sunlight 10 -18 degrees Celcius. 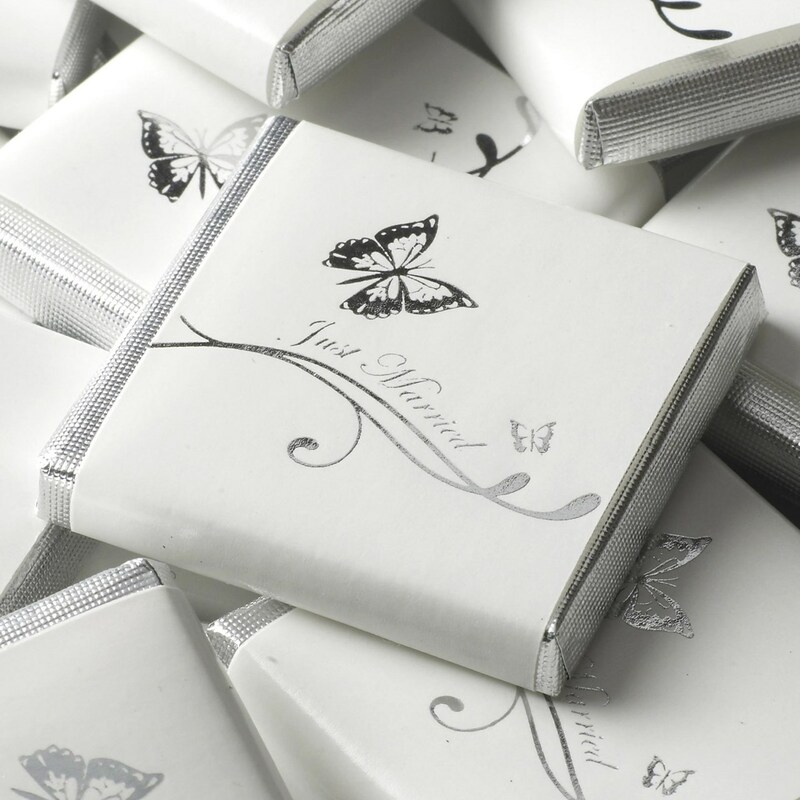 We recommend chocolates are purchased no more than 9 months prior to your function. Sold in a bag of approximately 50 chocolates.